Have you seen an adorable, wide-eyed Lemur lurking around here? That’s A. Lemur, TBB’s resident dogsbody and mischief maker, and this green-fringed strepsirrhine primate has become something of a mascot for our site. 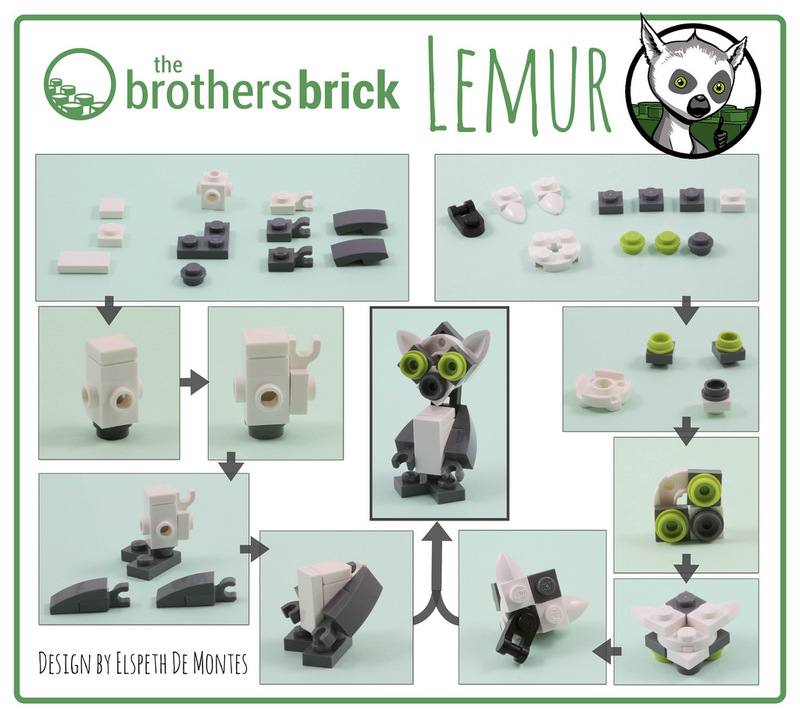 TBB Senior Contributor Elspeth De Montes designed a fantastic mini model of the cute little guy for our Advent Calendar Contest last month, and now we’ve got instructions for you to build your very own! Eh…. lemurs have very long striped tails!